Owen Rixon – Writer and Director. 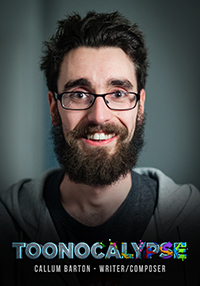 After discovering the fun of animation during high school, Owen re-located to Edinburgh to attend Edinburgh College of Art where he specialised in animation. 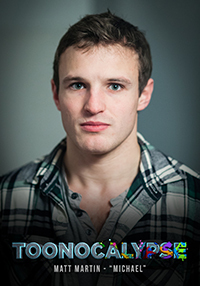 After graduating in 2009 Owen’s degree film “Welcome To Twister” was nominated for a number of awards including a Scottish New Talent Bafta and the prestigious McLaren Award at the Edinburgh International Film Festival. 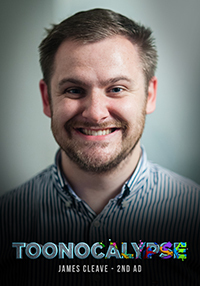 Shortly after graduating, Owen worked as an animation assistant on Iain Gardner’s Oscar shortlisted “The Tannery” and has since worked on numerous projects as a freelance animator for clients such as Warner Brothers, Uber and the BBC. He also spent time working as a production designer and vfx artist on various live action independent short films including Reeve Rixon’s (no relation) Scottish New Talent Bafta winning “Entwined”. Owen also enjoys both traditional and digital illustration and has had a number of pieces published, including three images that were featured in the internationally distributed Imagine FX magazine. 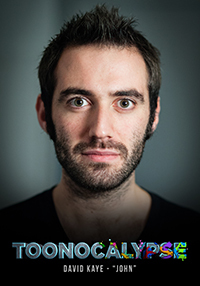 He now runs The 2D Workshop, a 2D animation, VFX and music production company based in Edinburgh. Callum Barton – Writer and Composer. Callum Barton is a composer, jazz pianist and screenwriter. Born and raised in Stranraer, Scotland, he started his piano studies at the age of seven. During his teenage years, he taught himself to play the guitar and drums, and for a period of time received organ lessons. In 2007, Callum commenced his undergraduate studies at Edinburgh Napier University on the BMus (Hons) course. 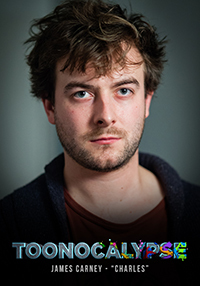 In 2011, he was accepted onto the MSc Composition for Screen course at the University of Edinburgh. He graduated in September 2012 with Distinction. Callum has collaborated with several directors on a number of short films, ranging from animation, drama, documentary, horror and comedy. In September 2012, Callum undertook and internship with noted media composer Guy Michelmore at his studio in Chichester. In 2013, he scored his first feature-length film, Being Ginger. 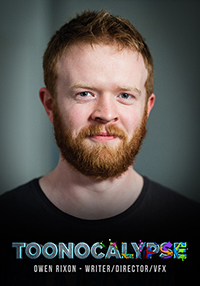 Callum is currently Head of Music & Sound at The 2D Workshop. Siggy Stone grew up in a village near Glasgow. He graduated Edinburgh University with an MA (hons) in Ancient History. After a brief spell teaching abroad, he moved to London and worked in production for Jamie Oliver’s Fresh One Production Company. He was taken out on the road to work on a couple of series (‘Jamie Cooks Summer’ and ‘Jamie’s Great British Menu’). After this, he moved on to pursue a career in film and television. He has since worked on numerous notable productions, which include: Red Dwarf, Him & Her, Friday Night Dinner, Black Mirror, A Touch of Cloth, Essio Trot, Pusher, Dark Shadows, Testament of Youth, Man Up, Night In the Museum 3, Alpha Papa, The Worricker Trilogy, Paddington Bear, and the eagerly anticipated Tarzan, Legend, Star Wars VII, and Genius. Last year Siggy production managed the successful music video ‘All Wishes are Ghosts’, shot in Iceland. Though Siggy has helped produce a couple short films, this will be his first full Producer credit, a role he has enjoyed immensely. David Kaye – Actor playing “John”. David was born and raised in Glasgow but left at the age of 13 with his family and moved to Surrey, England. After finishing school, he headed to back to his native Scotland for University with a study abroad year in America and lots of travelling in between. He graduated in English Studies writing a novella for his dissertation. 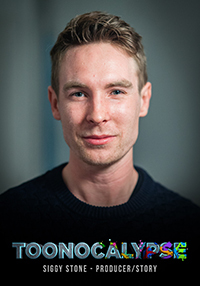 He then moved to London, trained to be a filmmaker at the Met Film School at Ealing Studios and embarked on a life behind the camera.He quickly realised he’d rather be in front of the camera however and made the decision to train at Drama Studio London where he graduated in July 2013. David then acted in various short films, a staged reading at BAFTA, and a radio commercial. Following a showcase in London’s West End, David was picked up by the industry leading agency Conway Van Gelder Grant. Since then, he has continued to pursue his acting career, recently completing a nationwide Pantomime tour in Christmas 2014. Matt Martin – Actor playing “Michael”. Matt was born in south London and remained there for most of his life bar a brief stint at Exeter University studying drama. Since then he has appeared in feature films Candle to Water and Halcyon Heights and on TV’s Hollyoaks. His theatre credits include performing as Stanley and A Streetcar Named Desire and John Proctor in The Crucible. He currently lives in East London… Where all the cool people hang out. James Carney – Actor playing “Charles”. James Carney is a screenwriter, and director as well as an actor. He studied English Language and Literature at King’s College London, and acting at The Actor’s Centre in Covent Garden. During these years, James worked at the Globe Theatre Exhibition as a Sword-fighter, teaching and performing stage combat for students and tourists.He has worked on Ecuadorian reality TV, studied clown in two languages and on two continents, his sitcom script was shortlisted for the BBC Writer’s Room, and Dermot O’Leary described his music video for London-based band REVERE as “Orwellian” and “a very good music video” on BBC Radio 2. James Cleave – 2nd AD. James Cleave grew up on the island of Cyprus before repatriating to the UK in 2006 for his studies. He graduated with Merit from a Masters in Producing Film and Television at Bournemouth University in 2010 and has since worked as an Assistant Director in the British film and television industry.In this time, he has worked on over 70 films, television programmes, music promos and shorts. Television credits include Black Mirror, Some Girls, May Day and You, Me and Them. Film credits include RED 2, Diana, Pride, with further contributions to Cinderella and A Theory of Everything to name a few. He is currently producing multiple programmes and support material for a global maritime training company in London. Peter Greeves – Character Designer. Peter Greeves began his art career as a student at the Leith School of Art in 2005, specialising in drawing and painting. He went on to study animation at the Edinburgh College of Art, graduating in 2010 with a BA (Hons). His degree film Noel, a short animated documentary about the jockey Noel Riddle in 1960/70s Zimbabwe featured at the Animated Encounters festival later that year in the Emerging Talent category. 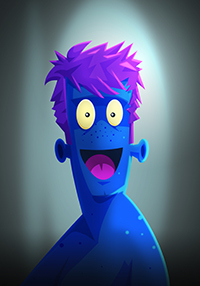 Peter has been working in the mobile games industry since 2011 as an artist and animator. His work can be seen in a number of titles which include; The Crytal Maze, Outpost Defence, Tracer Cities. Most recently Road to Fame, SAS Zombie Assault 4 and Bloons Monkey City from his time at Ninja Kiwi where he currently works. Harriet Buckley – Lead Animator. Harriet Buckley trained at Edinburgh College of Art and, after many years of wandering around Scotland and Ireland, is now based in Edinburgh once more, which she has been delighted to help populate with cartoon aliens for Toonocalypse. 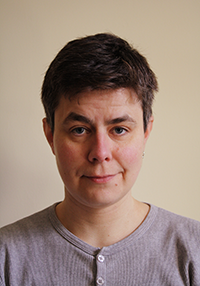 Harriet’s animation credits include work on Sylvain Chomet’s rather different filmic vision of Edinburgh, The Illusionist; also on the CBeebies series Boj, and various commercials and short films including the wall-painted animation Knife Crime for the Scottish Government via the Leith Agency, which won a British Arrows Silver Award. Her illustrations have been published in The Scotsman, Time Out and numerous children’s novels.